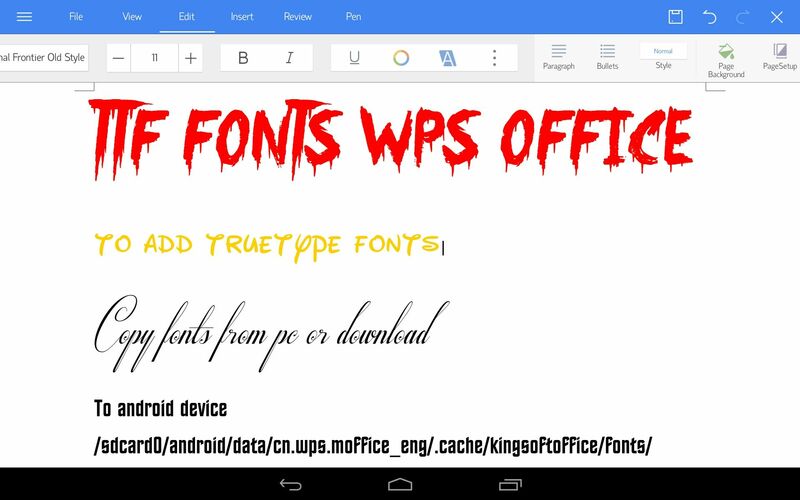 My favourite office suite for android has to be WPS office. This great free office suite which was formally known as Kingsoft Office. The only problem and this is not just to do with wps office, the problem does exist with other office suites on Android mobile. Is that most office suites have limited fonts, the fonts that normally you can use are the ones built into the version of Android you have on your device. This means when transferring document from pc word processor like word, libra writer etc, is that the formatting of your doc gets a bit messed up, as the apps then substitute different fonts. Now yes you can add additional font packs to other android office suites but these are normally paid for packs. Now I don’t mind paying for any app, but paying a price for fonts that everyone has for free on your pc seems wrong. So now definitely this is why I prefer using wps office, but also personally I have found this office suite to suit my needs and compatibility with my docs and spreadsheets with really no problems and now cab easily add standard truetype fonts even better. See some if my other essential / favourite android productivity apps HERE.